To some degree or another, we tend to rely on the way food and food packaging looks to help us figure out what to buy. Even those of us who are savvy enough to read the nutritional labels often don’t have the time or energy to check labels for every type of product we buy. Yet, relying on the packaging can be a very risky approach because as you will soon see, there is a lot of food out there that is different than what its marketing implies. In fact, there are many healthy foods that are not healthy at all. By that, I mean that the marketing implies that they are good for us - but the truth is the complete opposite. Approaches like healthy images, misleading claims, exaggerations and implications all make products seem better than they are. Sometimes the differences are large, sometimes the differences are subtle. Unless you are aware of these deceptions, you could be sabotaging your eating and weight loss practices. Below we cover commom foods that are not as healthy as you would first think. Natural sounds like it should be healthy and people gravitate to it because of this. Often you’ll also find imagery that feels natural like a leaf, grass or a farm. But, the term natural is really just a marketing phrase and it isn’t regulated in the slightest. Most ‘natural’ products will still have artificial ingredients or be heavily processed. The only real natural thing about them is that at some point, some of their ingredients came from the environment – which is true of just about every food product. There has been some movement to change the use of the word natural to match what consumers actually expect. For example, the brand Kashi faced a class action lawsuit for misleading consumers through the use of the ‘all natural’ label and a growing number of companies have been facing similar lawsuits (1,2). So, it’s likely that the use of natural as a label will probably decrease, but in the meantime, be careful of anything using this phrasing. Fat-free sounds healthy After all, people inherently associate fat with weight gain and that perspective has certainly been heavily promoted (although it isn’t entirely accurate). Yet, fat-free products often contain just as many calories as regular versions, which often makes these products surprisingly unhealthy foods. Instead of fat, the products are just loaded with sugar. Even when you do find fat free products that are genuinely low in calories, they still mightn’t be as good as they seem. The fat in products often makes them more satisfying, which can mean that you eat less. The opposite case also holds true. Foods marketed as sugar-free often have higher amounts of fat to make up the difference. When they don’t, companies make use of artificial sweeteners as an alternative. Artificial sweeteners are highly controversial, and with good reason. For one, researchers argue that artificial sweeteners don’t activate the food reward pathway, the pathway that makes people feel satisfied after eating. This can make you crave sugar and can potentially contribute to weight gain (3). Much more research is needed in this area, but it’s evident that artificial sweeteners are far from an ‘easy button’ to have sweets when you are trying to lose weight. Claims that a product doesn’t contain something are very common. I mentioned sugar-free and fat-free, but another example is products with no trans fat. For most of us, zero of something means exactly what it says, but that isn’t true when it comes to food and food marketing. Instead, a company can claim to have none of something, like no trans fat, if it has less than a particular amount per serving. In the case of trans fat, it just has to contain less than 0.5 g per serving. You shouldn’t really be getting any trans fat in your diet, and 0.5 g is actually quite a bit. Additionally, that’s per serving, and products like oil have servings of a tablespoon or so. Another example is cooking spray. Often this is advertised as fat-free and calorie-free. However, the serving sizes are tiny (like 0.2 g). Clearly there is going to be less than 0.5 g of fat in that serving, but no one actually uses that little. With most products like this, they end up being far worse for your health than the labeling impliesif you use the product frequently. So, many surprisingly unhealthy foods might claim to contain none of a given ingredient, but instead they actually contain a small amount. That starts to be a major deal for products that have small serving sizes or products that you eat frequently. If you’re watching your salt intake, low sodium options may be important. However, they often sound better than they are. Campbell’s soup is one example of this, as one line of their products contains 25% less sodium than their other soups. That’s good, but it doesn’t make the soup a low sodium product. In fact, the can in the image has a total of around 1,650 mg of sodium for the whole thing (or 660 mg per serving). Despite the serving size, most people end up eating the whole can. Recently, labels are being redesigned to offer more realistic serving sizes, more in line with what people tend to eat at one time. The can contains much more than half the recommended daily intake for average Americans (2,300 mg per day) and it actually contains more sodium than the daily allowance for at-risk groups (1,500 mg per day) (4). This same pattern happens with other claims too, like lower fat or lower sugar. Products that claim to have no added sugar aren’t necessarily low in sugar. There are many ingredients that naturally contain sugar, including fruit, milk and cereals. So, your no added sugar product might still be really high in sugar. For example, one Naked smoothie contains 25 g of sugars per serving, and there are two servings in a small bottle. That’s 50 g of sugar for the bottle – and most people have the whole thing at once. Additionally, foods without added sugar often contain other carbohydrates, which also act to raise your blood sugar level. Overall, you might find that a no added sugar product has just as much sugar as products with added sugar. Grained bread sound so much healthier than white bread, but most of the time this isn’t true. Whole grains are healthier than the grains normally used in bread, but the process of refining the grains strips away most of this nutritional benefit. Whole grain or whole wheat bread might be a little bit healthier than white bread, but this difference is minimal. Whole wheat bread even has the same glycemic index as white bread (5). The phrase light implies lower calories, but it doesn’t always mean that. In some cases (like olive oil) a product can be also considered light if the flavoring is lighter. Normally the product will say light flavoring rather than light, but often this is hard to notice (intentionally). People tend to consider fruit as being healthy and companies like taking advantage of this. There are many products on the market that are fruit flavored, but contain little to no actual fruit. One example is Brookside’s dark chocolate. The company has a number of different flavors, and most of them play on the idea that dark chocolate and superfruits (like pomegranate) are healthy. Yet, the ingredients list for the product reads like a book and fruit juice comes towards the end of that list. Essentially, the product is gummies with a little bit of fruit juice dipped in chocolate. While it is dark chocolate, there is no indication of the percent cocoa, so the chocolate isn’t likely to offer any health benefits either. This pattern is also very common with fruit drinks, like Sunny D. The product looks like juice and to some people it even tastes like it, yet the description on the product makes it pretty clear that this isn’t the case. According to the ingredients list, the product contains 2% or less of six different types of fruit. So, at the absolute best, the product contains 12% fruit juice. However, the product could also contain just 1% fruit juice total and the label would still be accurate. Either way, you end up getting much less juice than the marketing actually implies. The nutritional labels, and many of the claims on the front of products are based on a specific serving size. Frequently, the listed serving size is unrealistic. For example, a can of soup might have 2 or 2.5 servings in it – although most people eat the full can. Likewise, the serving size for Doritos tends to be around 11 chips (6) and the serving size of ice cream is often half a cup (7). If you glanced at the ingredients label, you might think that you can fit a product into your diet, without realizing that you eat twice or three times the serving size at any time. One aspect of trying to eat healthier is dropping down the amount of sugar. However, sugar tends to turn up in all sorts of places that you wouldn’t expect. For example, here’s the ingredients list for Newman’s Own Tomato and Basil pasta sauce. Not only is sugar on the list, but it is the third most prevalent ingredient (after tomato puree and olive oil). There is even more sugar in the mix than salt or spices. According to the ingredients list, the product has 7 g sugar per half cup, which is quite a bit for a savory sauce. This is true of most pasta sauces and a lot of other products. Salad dressings are another example (especially fat-free ones), as is ketchup, barbecue sauce, bread, coleslaw and frozen pizza. Fruit juice sounds like a healthy alternative to soda or other high-calorie drinks. After all, if you pick the brand and product well, you can end up with something that is nothing more than juice. Despite this, fruit juice ends up being a surprisingly unhealthy food. For example, the container in the image contains 22 g of sugar. That’s all natural sugar, but it’s still sugar. With a whole piece fruit, you don’t just get sugar. You also get a lot of fiber and it tends to take some time to chew and actually eat the fruit. The sugar is also digested slower because of there are still parts of the fruit pulp that need to be broken down. So, with fruit itself, you get the sugar slower and it won’t spike your blood sugar. With fruit juice, you are drinking a substantial amount of sugar quickly and that’s going to influence your blood sugar levels. Often, fruit juice is just as bad as a soft drink (8). Smoothies really are a great way to get nutrients into your diet, but that’s not really true for the smoothies you find at stores. 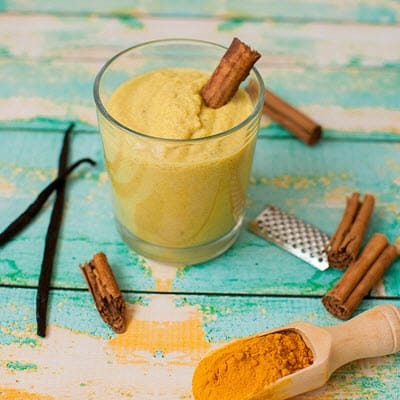 A lot of the time, you will find that these smoothies are mostly fruit juice and fruit puree. While they might contain some fiber (3 g per serving in the case of the image), it doesn’t tend to be a lot. Likewise, because they are mainly juice, they tend to be high in sugar and high in calories. This means that they tend to have the same issues that we discussed for fruit juice. Even smoothies that are high in protein and don’t rely exclusively on fruit tend to be high in sugars and have relatively few nutrients. As with anything, there are some exceptions, but finding them takes a lot of work. Protein shakes and protein powders are a mixed bag. 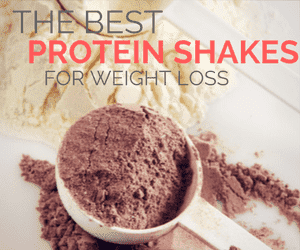 If you choose well, using a p﻿rotein shake (either a premade one or one you make from powder) can be a great way of making you feel full and can play a role in weight loss. Unfortunately, many options aren’t as good as they seem. Two examples are Carnation Breakfast Essentials and Slim Fast. Both of these brands have premade and powdered options and Slim Fast also offers a protein bar. Both brands boast 10 g of protein. However, that’s only partially true. In the case of Slim Fast, the powder itself only contains 2 g of protein. You only get the full 10 g of protein when you prepare it with milk. The Breakfast Essentials drinks are already mixed with milk and you can bet that most of the protein comes from milk in this case too. At the same time, both products are high in sugar. The Slim Fast powder has 10 g of sugar per 26 g serving of powder. That’s a horrible ratio. Breakfast Essentials isn’t much better, offering 15 g of sugar per bottle. People tend to turn to protein shakes to aid in weight loss or as a healthier option, but the high amount of sugar makes these products largely ineffective in this role. Additionally, with only 10 g protein per serving (assuming you use milk with Slim Fast), the products also won’t keep you full for very long. Almonds are nutritional powerhouses and are great sources of protein. The reputation of almonds makes almond milk seem like a great alternative to milk. However, almond milk doesn’t actually contain all that many almonds and you would get roughly the same nutritional benefit from a handful of almonds than you do from multiple servings of the almond milk. In fact, the main ingredient in almond milk is filtered water and it also contains many additives. Keep in mind though there are some better, premium almond milks on the market that use more almonds per serving versus most brands. This is my favorite. The only real advantage almond milk has is the calcium, but even that’s misleading. Almonds don’t naturally contain substantial amounts of calcium. Instead, the calcium in almond milk is artificially added. Almond milk doesn't completely fall into the category of surprisingly unhealthy food - because it is still pretty healthy. Instead, it simply isn't what people expect it to be. So, drink almond milk if you like the taste, by all means, but be aware that you aren’t getting much nutrition from the almonds themselves. Produced by Coca-Cola, Vitamin Water has faced a considerable amount of controversy, and with good reason. The original marketing for the water heavily relied on health claims, including the claim ‘vitamins + water = all you need” (9). Likewise, some flavors contained claims that they could boost the immune system or made other implications about health. Now, in fairness Vitamin Water does contain vitamins, but you could get the same vitamins from a vitamin supplement if you were so inclined. At the same time, the water is pretty high in sugar. A 20 fl oz bottle has 32g of sugar. Granted, that’s a whole lot better than the 65g of sugar in the same size of Coca-Cola (10), but it’s still a high level of sugar. While Vitamin Water is a bit healthier than soda just based on the sugar differences, it still isn’t a healthy drink or one that you should rely on for hydration. Essentially, you are drinking little more than sugar water. Oatmeal has a reputation for weight management. It’s often promoted as this fantastic breakfast that will keep you full and ‘absorb cholesterol’. The cholesterol absorption part is technically true, but this is just because of the fiber (11). So, a lot of other foods will offer similar benefits. What about the rest of it? Well for one, unless you buy plain oatmeal, you end up getting significant added sugar, which is extremely counterproductive. You’re better off adding your own toppings to oatmeal, but you still have to be careful not to load on the calories. Oatmeal is also fairly high in carbs, which is often a bad approach for weight loss. For example, one pack of Quaker Instant Oatmeal (Apples & Cranberries) contains 33 g carbs, including 12 g sugars, and also has 160 calories before milk is added. That might be fine if oatmeal was actually as filling as the marketing claims. However, for most people it simply isn’t. I’ve tried the idea of having oatmeal for breakfast, including multiple different brands and approaches. I consistently found that I was hungry an hour or two afterward, which really defeats the entire purpose. Frozen dinners tend to be packed with salt, preservatives and very little nutrition. However, some brands promote themselves as healthier, offering many more vegetables and comparatively low calories. Even though the meals are frozen, there is still a decent amount of nutrition in the vegetables (12), so you would think that the meals actually are as healthy as they claim. Meals like this vary considerably in their nutrition and their calories, but they can be pretty low. For example, the meal in the image has 270 calories, which doesn’t sound too bad for a meal. Clearly it’s not as good as a home cooked meal, but it should do in a pinch, right? Here’s the catch. These meals are small and they’re not filling. You could eat one for dinner and be hungry shortly afterward (or immediately afterward). In fact, many of the meals are marketed specifically as entrees, something that people often don’t notice when picking them up. If it takes two or three healthy frozen meals to fill you then you aren’t getting any benefits from them. Additionally, many frozen meals are filled with additives and preservatives, making them surprisingly unhealthy foods. Breakfast cereal often looks like, tastes like and has the nutrition of candy. But, there are many brands of cereal that are promoted as healthy and simply do not live up to these claims. Often, you will find that cereal is excessively high in sugar and carbs, but offers minimal other nutrients. For example, Cascadian Farm Organic cereal sounds and looks healthy, especially with the very prominent organic label. However, the cereal contains 44 g of carbs, 15 g of which are sugars. Without milk, one serving of the cereal is 220 calories, which is pretty high. The serving size is another issue. That nutritional information is for a serving of 2/3 of a cup. Few people would have that little cereal for breakfast and it’s pretty common to have at least double that amount. Even with 5 g of protein per serving, it’s pretty clear that the cereal isn’t as healthy as it seems. A second example is Special K Red Berries. The brand name alone often makes people think that the product is healthy. Yet, even the best Special K cereals are heavily processed and not all that filling. In this particular case, one serving has 110 calories, including 27 g of total carbs and 9 g of sugar, and only contains 2 g of protein. The marketing also implies that the use of dried berries is good for health, but this isn’t entirely accurate. Dried fruit still has the same nutrients as whole fruit, however, the pieces are smaller and easier to eat, which makes it easy to eat too much. Companies also frequently add ingredients to their dried fruits, such as sweeteners or preservatives to help them maintain their flavor. If you do love cereal, there are some healthier options out there, but you really have to shop around and pay close attention to the ingredients and the nutritional information. Some soups are marketed as being healthy. For example, Campbell’s has a line that it calls Healthy Request that has been certified by the American Heart Association. There is a limit to how healthy canned soup can be because it has to stay safe and flavorful within a can for an extended period of time. So, soups marketed as healthy might be better than other alternatives, but often not by a lot. One of Campbell’s soups is a Roasted Chicken with Country Vegetables. It doesn’t sound too bad at 100 calories per serving, but there is a catch. First, a serving contains 410 mg of sodium and 4 g of sugar as well as a bunch of preservatives. This may be in ‘heart healthy’ tolerances, but I still don’t like those levels. That might all be fine if the serving sizes were actually reasonable, but they’re not. Instead, those figures are for one cup of soup (as in the measurement, not a mug). I don’t know many people that eat just a single cup of soup at a time. Instead, most people eat the full can, which is two servings, so you’re looking at 820 mg of sodium and 8 g of sugar. Margarine and butter-like products are often touted as healthier alternatives to butter and sometimes even doctors will recommend it. But why? The argument, as always, comes back to fat and saturated fat. Fat is apparently a huge villain when it comes to heart disease, even though research doesn’t actually support this claim at all (13,14). Likewise, saturated fat actually improves the profile of blood lipids (15,16). Margarine is also a heavily processed product that often contains trans fats and vegetable oils. I mean to start off with, margarine shouldn’t be as easy to spread as it is. Its spreadability comes from just how heavily processed it is. You just have to look at the ingredients list to see what I mean. Butter, on the other hand, is simply made from milk. Sometimes other ingredients might be added, but rarely. Certainly, butter is nowhere near as processed as margarine. Personally, I would trust a product with very little processing over one made by a chemist any day of the week. I use grassfed butter daily as part of my breakfast and meal prep. A common piece of advice for health is to use polyunsaturated vegetable oils when you are cooking (often as an alternative to butter). This includes corn, cottonseed and canola oils as well as some others. The argument is that these oils can play a role in lowering cholesterol, and there is some evidence for this. However, that doesn’t necessarily mean the oils are actually good for you. For example, some research has indicated that despite its ability to lower cholesterol, these oils may still increase the risk of heart disease (17,18). Likewise, the oils are concerning because they contain high levels of omega-6 fatty acids. A better choice instead of these oils would be a extra virgin olive oil. There are two main types of omega fatty acids, omega 3 and omega 6. Our body needs to keep these in a balance and ideally, we need a low amount of omega 6 compared to omega 3 (19) (this is one of the reasons that fish is so important for health). Most people already have too much omega 6 and not enough omega 3 (20), so adding even more omega 6 is hardly a good move for health. There are a lot of labels on food that make it sound healthy, or at least healthier than competing brands. You can see an example of this in the image from Ben & Jerry’s ice cream. Now, some of these claims might make a little bit of different in terms of health. For example, organic does tend to be better than non-organic, at least most of the time. Fair-trade and organic also tend to be better for the environment, so I’m not saying steer clear from these products. But it’s important to be aware that these labels don’t make the product healthy. For example, half a cup serving (which is a pretty small serving) of the Chocolate Fudge Brownie ice cream contains 260 calories. That serving includes 13 g of fat and 30g of carbs (including 27 g of sugar). That’s just for half a cup and very few people have that little in a serving. Furthermore, some of Ben & Jerry’s flavors are even higher in calories, fat and sugar. Organic or not, fair-trade or not, GMO or not – ice cream is still ice cream. That’s true for any products that use these labels. The labels really don’t mean that the product is any better for your health at all. You may even find that some organic products are higher in calories or have more sugar than non-organic ones, simply because of differences in brands. After all, that’s often the case for Ben & Jerry’s, as their ice cream is loaded with other ingredients, including chocolate and caramel, depending on the specific flavor. The site Dr. Spencer highlights this problem, talking about how organic junk food is still junk food. Eating fish regularly is very important for your health and it can help to significantly improve your ratio of omega-3 to omega-6 fatty acids. However, not all fish is the same. A lot of the fish that you find at grocery stores has been farmed instead of being caught. With the high demand for fish, this practice isn’t surprising, but it is concerning. Farmed fish grow in a completely different environment than natural fish. They are also given a specific type of feed to increase the overall size of the fish (21). Farmed fish also tend to be higher in levels of contaminants than wild fish (22,23,24). The Environmental Protection Agency itself notes that the level of one contaminant, mercury, in some fish is high enough to be of concern (25). One of the most commonly consumed types of fish is farm-raised tilapia and research indicates that the fish has very low levels of omega-3 fatty acids and high in omega 6 (26). This is a concerning profile, especially as that ratio can contribute to health problems, including inflammation, which plays a role in many chronic health problems (27). In general, it is much better for your health to focus on wild fish over farmed fish. If farmed fish is your only option, avoid farmed tilapia. Salads are always touted as a fantastic healthy way of eating, and they can be. But, if you’re not careful, your salad can easily be unhealthy instead of healthy. Many dressings are high in calories. These calories might come from fat, sugar or both, and you’ll find that many are loaded with salt as well. It’s also very easy to overdo it with salad dressings, and people often feel that the health of the salad outweighs the dressing, which it doesn’t. Salad dressings are frequently loaded with artificial additives and the ingredients list sometimes read like books. At the same time, you also have to be careful with what you add to a salad. Many toppings can add on the calories quickly, such as glazed nuts (stick to dry roasted instead), fried chicken (fried food does not belong on a salad), cheese (a little is okay, but many people pile on the cheese) and croutons. Finally, salads aren’t a particularly filling meal and some people find that they need to eat again soon afterward. Having some protein as part of the salad can help with some of this, such as adding in an egg﻿﻿ ﻿﻿or two. Likewise, there are some amazing high-protein salads that you can try, such as this list from Hurry the Food Up. But, you still need to be aware of how the calories fit in with the rest of your diet. With growing awareness of the damage that sugar does, many people are turning to alternative types of sweeteners, some natural, some artificial. Agave nectar is one of the natural sweeteners that is often promoted, and it is hyped as not spiking blood sugar (so it has a lower GI). That much is true because agave nectar contains less glucose than regular sugar (28). However, the sweetener isn’t as good as it sounds. To start off with, it is a heavily processed syrup made from the agave plant. The process of creating the syrup also destroys most of the healthy compounds from the agave plant (29). Additionally, the lower GI of agave nectar is nice, but GI isn’t the reason that sugar is unhealthy. Like sugar, agave nectar is largely made up of fructose and glucose. The lower glucose level means that agave nectar is very high in fructose (around 85%) (30). The high level of fructose is deeply concerning because fructose is the main reason that sugar is so bad for us (31). So, in many ways, agave nectar is actually a much worse sweetener than sugar. This is another sweetener that is promoted as being healthy. Unlike agave nectar, the sweetener doesn’t contain refined fructose, which is a positive aspect. The sweetener is also highly refined, so it doesn’t offer any real nutrition. Additionally, the sweetener largely consists of glucose, which means that it will spike blood sugar very quickly. In fact, it has a GI of 98 (32). Protein bars tend to be pretty popular. They’re easy sources of energy that people can just take with them on the go and these are certainly a good example of surprisingly unhealthy foods. Sometimes protein bars are used as meal replacements, but often they are used as snacks, especially when people are hungry between meals. For the most part, protein bars are perceived as being healthy – but that often isn’t true. In many cases, protein bars are just glorified candy bars. Like candy bars, they tend to be heavily processed and made of refined ingredients. Often they are also laden with sugar. For example, this Luna bar has 12 g of sugar and 27 g of carbs – for a 48 g bar. It also has 9 g of protein. That’s okay in terms of protein, but it is pretty low for a protein bar. So, even with the protein, the bar is still little more than a sweet snack and it certainly won’t fill you up. Some other bars look better at first, like this one, which offers an impressive 32 g of protein and just 2 g of sugar. However, it is still full of refined ingredients, to the extent that I couldn’t even fit the entire ingredients list in a single image and still have it readable. Honestly, the only advantage that protein bars offer is that they are easy and convenient. This may be important in some situations but in most cases it's worth finding the time to make or get something that is healthier for you. If you do find that you need to go for a protein bar, for whatever reason, do look for one that is high in protein and low in sugar – otherwise, you might as well be eating a candy bar. Very low calories snacks seem like the perfect answer for people trying to lose weight. At face value, these snacks look great. They offer a chance to snack without really having to feel guilty about it. The popcorn chips that Special sells are an example of this, as are rice cakes. To start off with, these are heavily processed with many artificial ingredients. That might seem okay if you are really focused on keeping your calories down, but they aren’t even particularly effective at doing that. This type of snack is empty nutritionally and because of this, it isn’t very satisfying. This makes it very easy to polish off an entire bag without thinking about it and you will probably still crave a snack even after eating them. In fact, the site Obscure Contemplations considers rice cakes the worst 'food' ever created and I don't disagree. A similar pattern is true for many other low calories foods too. Dark chocolate has been gaining popularity recently and for good reason, it does offer the potential for significant health benefits. However, not all dark chocolate is alike. The health benefits are largely associated with the cocoa content of the chocolate itself and ideally, you want chocolate that is more than 70% cocoa. Many brands of chocolate (like Dove) don’t list the cocoa percentage anywhere on their chocolate. Instead, they try to get people to buy based on the concept that dark chocolate is healthy. Other brands process their cocoa with alkali. This means that regardless of how dark their chocolate is, it will not have the same health benefits as dark chocolate not processed this way. Processing with alkali is also sometimes called Dutching. Basically, it is a processing approach that breaks down the flavanols. So, when you have dark chocolate processed with alkali, it has fewer flavanols, which also means that it has fewer potential health benefits. Most of the time you will find that the more expensive dark chocolate brands don’t use alkali in their processing, but unfortunately, this isn’t always the case. For example, Lindt’s 90% Cocoa chocolate is processed with alkali, but the 86% cocoa product from Ghiradelli (they use the term cacao on the label, but it’s the same thing), isn’t processed with alkali. As with any type of product, chocolate manufacturers do sometimes change their approaches without warning, so it’s a good practice to check the ingredients list of chocolate every time to make sure you are getting dark chocolate that hasn’t been processed with alkali. In concept, dried fruit are pretty healthy. They still retain the nutrients from fresh fruit, they just don’t have the water (33). However, the lack of water also makes dried fruit very dense in terms of sugars and calories, which is why you might consider dried fruit one of the surprisingly unhealthy foods. So, a cup of dried fruit will have much more sugar and many more calories than a cup of the same fruit non-dried. Dried fruit is also very fast and easy to eat, making it easy to overconsume. For example, half a cup of dried blueberries has around 25 g of sugar and 270 calories, while a full cup of fresh blueberries has only 14 g of sugar and 85 calories (34). The site wiseGEEK offers a highly visual guide about what 200 calories looks like - to give you some idea. So, if you plan to use dried fruit as a snack, a topping or an ingredient, you need to be very careful about the quantities that you use. In general, yogurt can be a pretty healthy snack, especially if you go for the Greek variety (which tends to be more satisfying). However, it’s far too easy to sabotage those health benefits by choosing options with fruit on the bottom (or on the side). Likewise, some flavor choices also end up being worse for your health than they appear. For example, Dannon’s yogurt with fruit on the bottom comes in at 24 g of sugar. Some of this sugar does come from the fruit, but the company does also have sugar as the second ingredient in the yogurt. Trail mix sounds like it should be healthy, especially as it contains nuts and dried fruit. However, many brands add in a range of other ingredients, including chocolate chips (or M&Ms), extra salt and extra sugar, and sometimes also coat the nuts or fruit in chocolate or yogurt. The end result is a high-calorie snack that you can easily eat too much of. If you are going with trail mix, look for unsalted and unsweetened varieties that don’t have the extra chocolate. In some cases, products are designed for specific groups of people. If you’re within that group, the products may well be healthy or even essential. However, if you are outside of that group, they may not be healthy at all. Sports drinks (like Powerade or Gatorade) are important for athletes. Their balance of electrolytes does potentially increase rehydration and helps athletes to get back salt that they have lost. Sports drinks can also potentially improve performance (35). That’s all well and good, but most people don’t drink these during sports. Instead, sports drinks are often considered a healthier option to soda and people tend to guzzle them because of this. For example, 12 fl oz of Gatorade has 21 g of sugar, 160 mg of sodium and 80 calories (36). The same amount of Pepsi has 41 g sugar, 30 mg of sodium and 150 calories (37). While sports drinks might be better than soft drinks in that respect, they still aren’t a substitute for water and shouldn’t be consumed simply for normal hydration. Gluten free products are important for a portion of the population – specifically those with gluten intolerance or celiac disease. However, in recent years, gluten-free has become a catchphrase for healthy, and many people claim that a gluten-free diet offers significant health benefits. In many cases, the people who make the shift to gluten-free aren’t even aware of what gluten is and are just following the modern trend (38). People often choose gluten-free because it sounds healthier, but gluten-free products, like cookies or cakes, are still junk food at the end of the day. This is a topic Dr. Hyman talks about in more detail - and it is an area to seriously consider. I talked about protein shakes before, but I want to specifically touch on Boost as well. Boost is one of a handful of protein shake brands that is frequently recommended by doctors (and many doctor’s offices even have coupons). This makes the shake seem healthy, but like some of the others we discussed, it isn’t as good as it seems. In particular, the version on the right contains 24 g of sugar and it is also heavily processed. This makes it a really poor choice for weight loss or just for a normal diet. However, Boost drinks do work well for the elderly and this is commonly who they are recommended for. Older adults often don’t eat for a range of reasons, and shakes like Boost offer some nutrition in a way that is easy for them to use. In this case, the high sugar content may even be beneficial, simply because it makes the product taste really good (kind of like chocolate milk). That can be important for getting people to eat when they don’t want to, but for most of the population, there are many healthier alternatives out there. There are many other examples of healthy foods that are not healthy. Often, this is because companies promote products in specific ways. You can find more details at the site Next Avenue, which looks into the reasons behind misleading food labels. Another issue is the associations we make. We tend to view some foods as being healthier than others. Even when this is true - it can lead to bad food choices. After all, junk food is junk food - regardless of the specific ingredients used. In the same way, if you eat many high-calorie meals and snacks, you're likely to gain weight.